Personable, dedicated and knowledgeable, Edgar Zaldivar is a real estate advisor at Compass. He developed a passion for real estate while living on the Williamsburg Waterfront where he witnessed the neighborhood's unmatched boom. 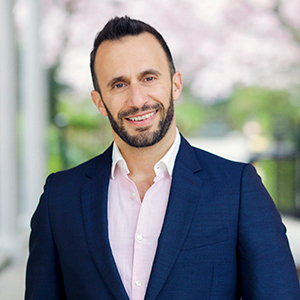 With a strong knowledge of the many neighborhoods that make up New York City, where he has lived for almost 15 years, Edgar has a sharp eye for identifying opportunities for investors and homebuyers. When representing sellers, his keen eye for staging and decor helps him market properties in a unique way that makes them stand out. Edgar's previous career as an accountant allows him to do very data-driven and metric analysis of the real estate market and has helped him develop a perspective on the market with a special eye on the financials of the transaction. Owning property several times in new developments, Edgar is very knowledgeable of condominiums and of sponsor related matters. He has served as a member of condominium boards and is well versed in financial, legal and management nuances of ownership. He has also helped his clients purchase properties in cooperatives and townhouses. With trilingual fluency in English, French and Spanish, Edgar can effectively master the art of dealing with the foreign client in addition to his domestic clientele. His profound passion for world culture allows him to connect with ease and relaxed sophistication with a broad range of people. In addition to Cuba where he was born and raised, prior to moving to New York City Edgar lived in Paris, Nice, Barcelona and Miami Beach. After graduating with honors from the University of Havana with a BA in French Language and Literature he moved to France where he attended the University Nice Sophia-Antipolis and where he obtained a BA in Information and Communications. While not at work he spends time in his high rise condo in Downtown Brooklyn. An advocate for animal rights and the use of green energy, he is also an avid fitness enthusiast and has a passion for cultural events. He's favorite hobby is strolling the city and admiring the diversity, the richness and the possibilities that makes New York City the most exciting place to live in the world.